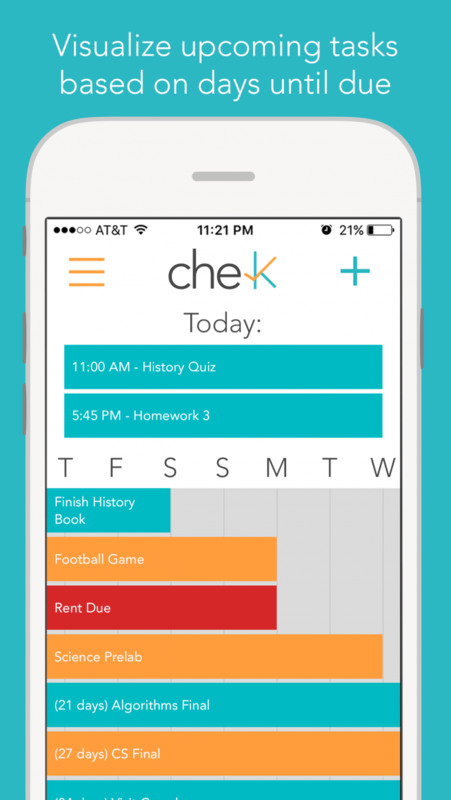 Chek is a totally free app that displays upcoming tasks and due dates in a whole new way. Rather than a traditional checklist or calendar style, Chek visually shows how many days until the task is due through shorter or longer horizontal bars. Users can instantly get a sense of how much relative time there is between assignments, over the traditional checklist style with dates shown as text.